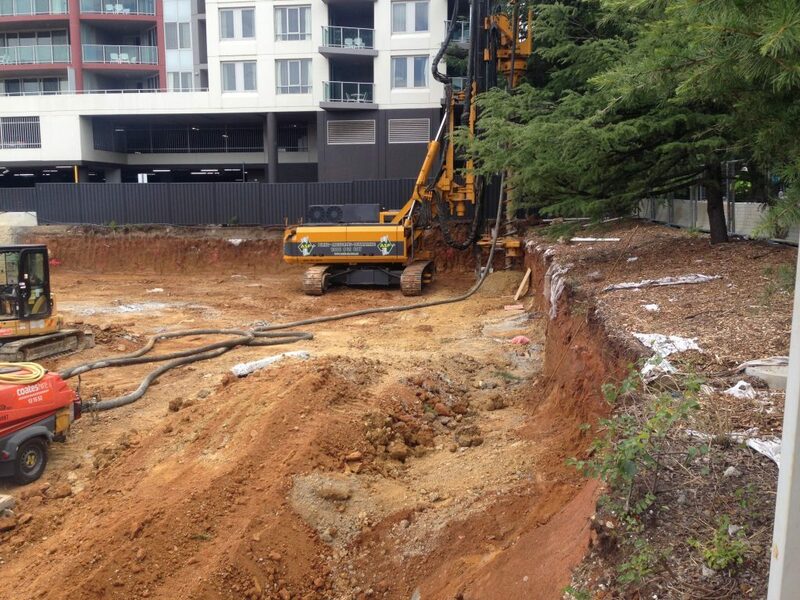 ASP Piling NSW has been engaged by Geocon to carry out the design and construct of the retention system for Midnight Apartments, Braddon. The development consists of a 9-storey residential development, with three levels of underground basement car parking. An anchored soldier piling solution was used on this project due to the ground conditions found in the geotechnical investigations. 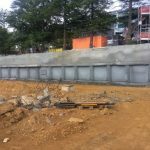 The stiff clay overlying weathered rock combined with the site being surrounded by roadways on three sides and a neighbouring 9-storey residential building with two levels of underground basement carparking made soldier piles the most effective option. The soldier pile system for the project used 600mm diameter reinforced concrete piles. 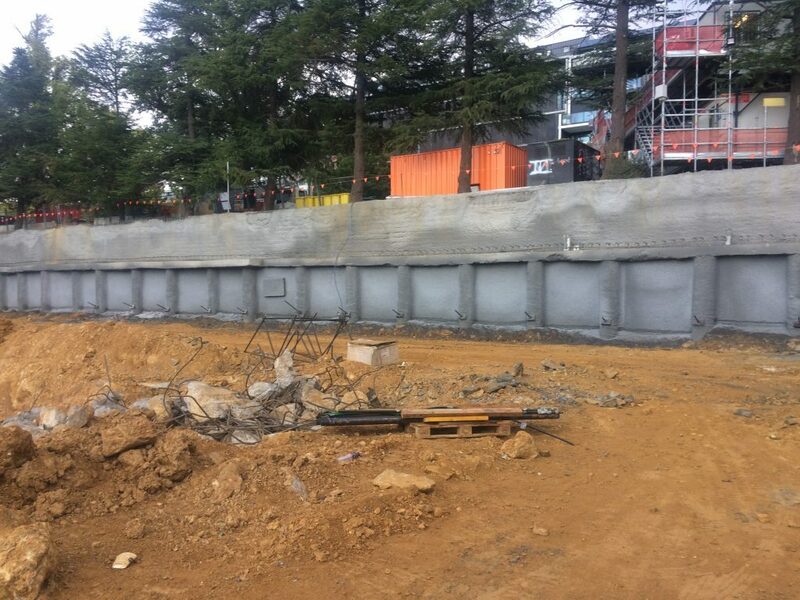 ASP Pilng NSW has installed approximately 320 lineal metres of soldier piles around the perimeter of the site. Once a suitable depth of excavation, shotcrete infill panels are constructed between the soldiers to prevent loss of soils between soldiers. Once excavation achieves the first row of anchor levels the ground anchors are installed. Location and orientation of the anchors are chosen to avoid any underground obstructions such as services or underground structures. 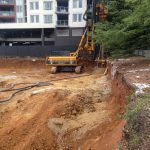 Once the ground anchors are properly installed excavation proceeded with subsequent geotechnical inspections, shotcrete and anchoring works carried out. This process will occur until final excavation is reached. The ground anchors for this project are temporary in nature. Once the basement slabs are propping the soldier piles the anchors will be redundant and can be destressed. The maximum excavation depth on the site is 10 metres.